Welcome to Scandinavian style table Beech wood - Maternity, Baby and Toddlers. An elegant, simple table from Jungle by Jungle that can perfectly fit anywhere in your home. 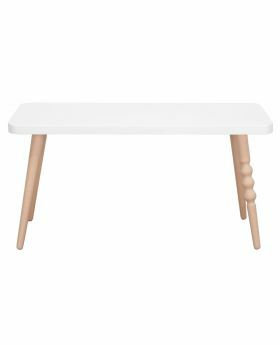 The most stylish table for the nursery or the living room where children can just sit around, enjoy doing arts & crafts or drawing. Materials: beech wood and copper. Dimensions: H 47cm x W 50 cm x L 70 cm.